Dedicated Distributed Storage Service (DSS) provides you with dedicated, physical storage resources. By flexibly interconnecting with various computing services, such as ECS, BMS, and DCC, DSS offers first-class performance in a wide-range of scenarios, including, HPC, OLAP, or a mix of loads. Fees vary depending on dedicated storage types and are charged on a yearly basis. DSS provides exclusive storage resources to ensure high disk read and write rates, data security, and compliance. DSS supports disk sharing, disk encryption, disk backup, and snapshots, perfect for enterprises in many different industries. DSS flexibly interconnects with computing services, such as ECS, BMS, and DCC, making it perfect for different scenarios, including HPC, OLAP, and hybrid loads. With dedicated distributed storage architecture and smooth expansion capabilities, DSS provides high-throughput and high-concurrency storage with improved performance. DSS can interconnect ECSs and BMSs in a DCC, meeting requirements of high performance, stability, data security, and regulatory compliance. Interconnecting services in dedicated compute clusters improves performance. Dedicated distributed storage and computing resources keep your data safe, secure, and ready at any moment's notice. DSS can interconnect with ECSs and BMSs in a non- dedicated compute cluster to deploy applications that require non-dedicated servers. DSS ensures that your resources are always available when you need them. DSS can flexibly interconnect with non-dedicated computing services.  DSS is designed for scenarios with high concurrency and high throughput and supports hybrid deployment for HPC, databases, email, OA office, and web applications. Its high IOPS and throughput allows DSS to meet all of the requirements of hybrid load scenarios. Storage resources can be easily expanded as services grow. DSS provides ultra-high I/O storage to meet the requirements of large-scale concurrent computing. It is perfect for scenarios such as automobile simulation, DNA sequencing, and machine learning. DSS provides dedicated high-throughput for high-performance computing applications. DSS isolates physical storage resources and encrypts data for enhanced security. DSS supports applications deployed in cluster mode, such as RAC, DB2, and SAP HANA. You can use different types of dedicated storage to meet different application requirements. DSS provides dedicated high-throughput for OLAP applications. DSS disks can be attached to multiple servers, and SCSI-3 reservation ensures the node performance of your database applications. High I/O and ultra-high I/O dedicated distributed storage are provided to meet different service requirements. Performance scales linearly with expansion. Suitable for scenarios that require high performance, high read/write speeds, and real-time data storage. Suitable for intensive read/write scenarios that require extremely high performance and read/write speeds, and low latency. On-demand capacity improves resource utilization. Linear performance scaling can be achieved with capacity expansion. Distributed storage and encryption ensure the reliability and the safety of your data. Backups are supported, preventing incorrect data caused by application exceptions or hacker attacks. Distributed storage with multiple data replicas ensures 99.9999999% availability. System and data disks support data encryption with zero application awareness. DSS disks support point-in-time backups, ensuring data security and correctness and service continuity. Servers can be backed up. What Are the Risks of Not Expanding the Storage Pool Capacity?